This is a guide for the upcoming patch before the expansion. Before we step into Tanaan Jungle, before we unlock leveling perks, before Garrisons, and before level 100 talents, we have everything else. No significant changes for brewmasters. If you wanted, you can easily skip this post and continue to play as you did before the patch and you’ll do just fine. Resolve – In the simplest terms, Resolve acts much like Vengeance except it doesn’t increase attack power. It increases the same skills: Guard and our heals. It grows immediately after big hits and starts decaying immediately. To get the biggest numbers from your defensive abilities, you should use them ASAP after big damage events. You no longer need to soak attacks for dps. Baseline damage buffs – To compensate for the loss of Vengeance, all our offensive abilities have been buffed. We should have near constant dps, instead of giant peaks and valleys dependent on damage taken. All numbers have been squished. We don’t have to worry about hit or expertise caps, and all our abilities will hit every time. All secondary stats have an offensive and defensive benefit. We don’t have much access to multistrike, bonus armor, or versatility yet (only through some trinkets). Those stats will start rolling in once we start questing our way to 100. Playstyle changes – Nothing significant will change with your rotation. The values of our active mitigation have changed. Shuffle and our passive damage reduction were nerfed. Guard and our heals will feel different because of Resolve, and our max health has increased proportionally more than our mitigation so our heals will fill our bars up less per cast. Purifying a high stagger will be of slightly higher importance than before the patch. You should still use your abilities in pretty much the same way you use them now. Ox Statue – You’ll no longer need to summon it all the time (obviously). It pulses with weak AoE threat, so it shouldn’t pull off a tank but it will hopefully out-threat a healer. Whenever adds spawn that you might not be able to immediately pick up with Dizzying Haze, you can summon the statue. The statue will pull mobs to itself, so it’s in your best interest to try and throw some Dizzying Hazes or to taunt off the statue once you get a chance, before the mobs kill it and head for a healer. Dependence on Healers – Lots of numbers have changed, and the end result is that you will not be able to stay alive all by yourself. You have to pay attention to healers. It’s going to feel weird, and likely you’ll feel very weak until you get used to it. Tier 16 two-piece changes from a small shield on statue Guard to reducing the cooldown on Fortifying Brew by 30 seconds. Neither bonus is particularly good, so it’s not really a loss. Weak Auras – As long as you have an updated copy of Weak Auras, my old ones should work. The exception being the Guard prediction aura and Vengeance. I will have all my updated aura strings (and a couple new ones) on my Weak Auras page. Wowhead has a great guide on everything else not related specifically to Brewmasters. Stat Squish – All health, stats, and numbers are being reduced to more human-readable (and computer-readable) levels. This should have no noticeable effect on your relative power level. (More Info). Agility – No longer increases chance to critically hit. Still grants dodge and attack power, though at a reduced rate. Strength and Intellect – No longer provide any benefit for Brewmasters. Expertise and Hit – Removed from gear. Brewmasters will have a 100% chance to hit with their main-hand weapon (off-hand weapons still have a 22% chance to miss for balance reasons) and 0% chance to be parried or dodged. Dodge and Parry – Removed from gear. We still get them through active mitigation and we still get dodge from agility. Defense: Increases energy, and indirectly increases chi, generation. Ideal for more frequent Purifying Brews. Offense: Increases auto-attack speed and usually more energy means more opportunities to use damage-dealing abilities (but not always). Defense: Increases Elusive Brew procs, indirectly increasing avoidance via higher dodge uptime. Defense: Increases stagger percentage, basically making damage intake “smoother”. Also has the potential for damage reduction through Purifying Brew. Offense: Increases attack power by a percentage. Defensive: Increases chance to proc Gift of the Ox healing orbs. Also gives all our heals the chance to fire an additional time at reduced effectiveness. Defensive: Pure damage reduction and increase to healing potency. Versatility, bonus armor, and multistrike are very rare until the expansion is released. (You can try to get the trinkets on which some new stats are available, but that’s not a priority.) Hit and expertise are gone (replaced with other secondaries). That leaves only crit, haste, and mastery. I recommend sticking with the build you used before the patch, be that crit or mastery. Both our passive energy and Ascension were nerfed, so you’ll want to reevaluate your ideal haste numbers. Removed Abilities (for just Brewmasters): Avert Harm, Clash, Power Guard (the Guard buff attached to Tiger Palm), Disable, Healing Sphere, Stance of the Fierce Tiger, Grapple Weapon, Weakened Blows (Boss damage reduction debuff removed from everyone). Ox Statue – Mini-guard utility removed. New functionality will be a threat magnet. Ring of Peace – No longer Silences or Disarms enemies. It now incapacitates targets in the area for 3 seconds, or until the target takes damage. Spear Hand Strike – No longer Silences the target. Gift of the Ox – In addition to being a proc on multistrikes instead of regular hits, when a player runs through multiple spheres at once, only as many as needed to heal the player to full health will be consumed (instead of all of them if the player is injured at all). Will also automatically heal you when they expire and if you’re in range. Touch of Death – Usable on targets that have 10% or less health remaining, or have less current health than your maximum health. The rules against players remain unchanged. This means it will act similar to a conventional execute that you can use only once but for huge damage. Legacy of the Emperor – Replaced with Legacy of the White Tiger, which also applies the crit raid buff, in addition to the stats buff. 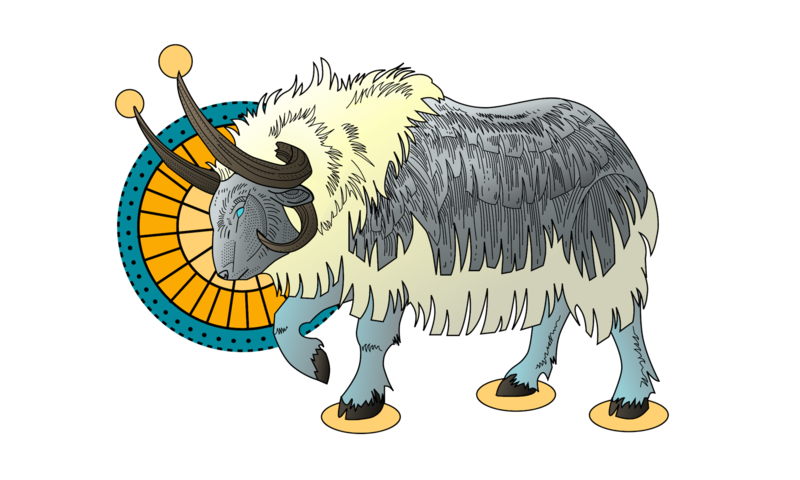 Stance of the Sturdy Ox now increases Stamina by 25%, reduces magic damage taken by 10% (down from all damage taken by 25%), and grants a 50% increase to Armor, but no longer increases Energy regeneration. Dizzying Haze now has no Energy cost, but no longer causes the target’s melee attacks to sometimes misfire. Elusive Brew now increases dodge chance by 45% (up from 30%). Zen Sphere healing increased. There were a couple rebalanced skills, but this one in particular may be worth reevaluating your talent choices. I’m not saying it’s the best, but it’s worth experimenting with now. Glyph of Expel Harm: Expel Harm’s Energy cost is reduced by 5 while your health is below 35%. Glyph of Keg Smash: Increases the range on Keg Smash by 5 yards. Glyph of Victory Roll: You gain 1 charge of Roll or Chi Torpedo whenever you kill a target that grants experience or honor. Improved Breath of Fire: Your Breath of Fire spell now always applies its damage over time effect to the target. Improved Guard: Guard now has 2 charges. Enhanced Roll: Your Roll now travels the same distance in 25% less time. Enhanced Transcendence: The cooldown of Transcendence is lowered by 35 sec, and Transcendence: Transfer is now instant cast.